Ashley Olson is the Faculty Adviser for the Lahainaluna High School Chapter of the NASSP National Honor Society (NHS). She was recently contacted by a student who had "enrolled in NHS online". Sadly, this was a scam that cost the student $50 to 'join' a program that is in no way affiliated with Lahainaluna, the NASSP nor the real NHS. The real NHS is a Lahainaluna sanctioned club with $10 annual dues. In February or March, student who wish to become members of the Lahainaluna NHS should be on the lookout for announcements during Morning Broadcast, and placed in the Daily Bulletin. Sophomores and Juniors who have a MINIMUM of a 3.7 CUMULATIVE GPA after the fist semester will be invited to apply for membership to the Lahainaluna Chapter of the National Honor Society. All completed applications received on or before the deadline (which will be clearly stated in announcements and on the application itself) will be considered by the LHS Faculty Council. Ms. Olson is a a non-voting member and the spokesperson of the six-member Faculty Council. Students who are selected by the Faculty Council will receive a formal offer of membership from Ms. Olson, which they must then accept, in writing. In May, new members are inducted in a ceremony held on campus. Again, ONLY current Sophomores and Juniors with a 3.7 or higher cumulative GPA are eligible for NHS membership. Any transfer student who has already been inducted to their previous school's NHS should contact Ms. Olson, personally. Life on Maui is expensive enough. 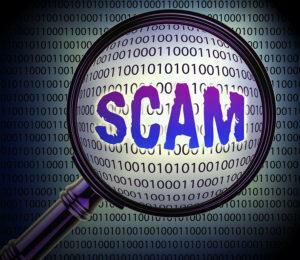 Please do not fall victim to these scams that are designed to part you from your hard earned money. . Additionally, do not PAY for scholarship searches! They do less than what Miss Kristy provides for FREE to all Lahainaluna students. If you are an athlete who is hoping for an athletic scholarship, again, see Miss Kristy. She can steer you away from the scam programs toward reputable businesses that can help you if she cannot do it herself. Again, the college search and scholarship assistance that Miss Kristy provides is FREE. Remember, when in doubt, ASK before you send money!